Denver personal injury attorney, Greg Gold, is a frequent lecturer at Colorado Bar Association functions, as well as seminars sponsored by the National Business Institute and local bar associations. He has lectured on areas related to his personal injury and insurance bad faith practice throughout the State of Colorado. In addition to his insurance and injury practice, Attorney Greg Gold also resolves claims related to premise liability, pedestrian accidents, bicycle accidents, and motorcycle accidents. Hiring the right injury attorney is an important decision. You need a lawyer who listens carefully and has experience with your specific type of claim. You also need a lawyer who can set realistic expectations about the amount of money you may be able to recover. 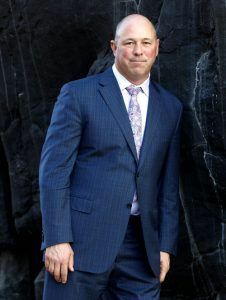 Attorney Greg Gold has been successfully and aggressively serving injury victims in the state of Colorado for over a decade. He has been honored with many awards for his efforts including the prestigious Young Trial Lawyer of the Year honor, awarded by the Colorado Trial Lawyers Association. Mr. Gold and his clients have been profiled nationally on Lawyers Weekly USA and Good Morning America. Locally Mr. Gold has appeared in The Denver Post and the Westword.